The R2sports bracket maker allows seeding a draw to be quick and easy. There are 2 ways to seed a draw, the best method to use when first creating a bracket is to enter the competitor’s seed next to their name and then clicking update seeding. The other way is to edit on tournament bracket, which is better for fine tuning the early round match-ups. The bracket maker allows the director to seed none or up to all of the participants in the divisions. When a team is not given a seed, the bracket maker seeds the players in a way to try to keep competitors from the same location from meeting in early rounds. It first separates them by country, then by state / province, then by city, and finally by home club / venue. After the bracket maker seeds a draw for the first time, it is easy to go back and swap the seed number next to players’ names, and then the draw will be recalculated using the new seeding. Adding in a late entry is also easy. Either put them in as the last seed, or adjust the seed number next to the players’ names to fit the new person into the appropriate spot. In sports organizations that use R2sports for their rankings, there is an additional option to automatically pre-seed the draws based on the latest a player’s latest rank. When this option is used, the bracket maker allows the director the option to tweak the draw so doubles partners and competitors that frequently play each in practice will not meet up until the later rounds. 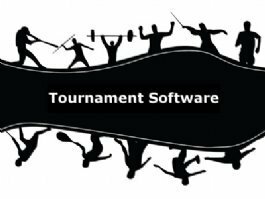 After the bracket maker initially creates a draw, if the director wants to change the format of the tourney bracket , the original seeds will be saved and transported to the new bracket format and used in the creation of the new draw type.